Acer has a new offering for serious PC gamers. Many gamers tend to prefer ultrawide curved monitors these fays when it comes to gaming. Acer launched its first curved gaming monitor back in 2015 and today it has finally launched a new one. The Acer Predator Z35P is an updated version of the Z35 monitor and it offers better resolution than the original model had. It has a 35 inch 3440 x 1440 pixel resolution display, which is an improvement over the original’s 2560 x 1080 pixel resolution. Subtle design changes have also been made to the stand which is now thinner with a subtle color scheme. The bright-red plastic color scheme of the Z35 is no where in sight. It looks much better. This monitor is all about gaming, and so the specs are impressive,with a 4ms response time, support for NVIDIA G-Sync technology and 300 nit maximum brightness. The refresh rate is set to 100 Hz by default, but it will be overclockable to 120 Hz. 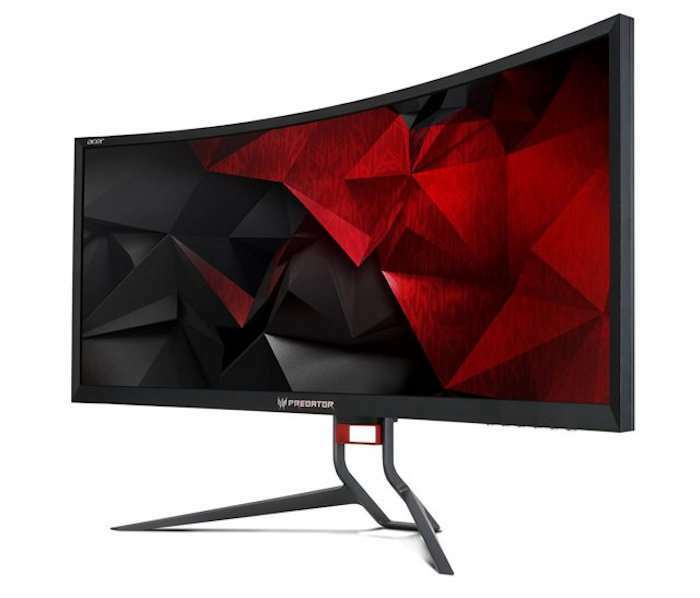 If you are interested in picking it up you can pre-order the Acer Predator Z35P ultrawide curved gaming monitor from Amazon starting today. It is priced at $1099. Shipments will begin in 1-3 weeks. Gamers are going to want to get their hands on this.